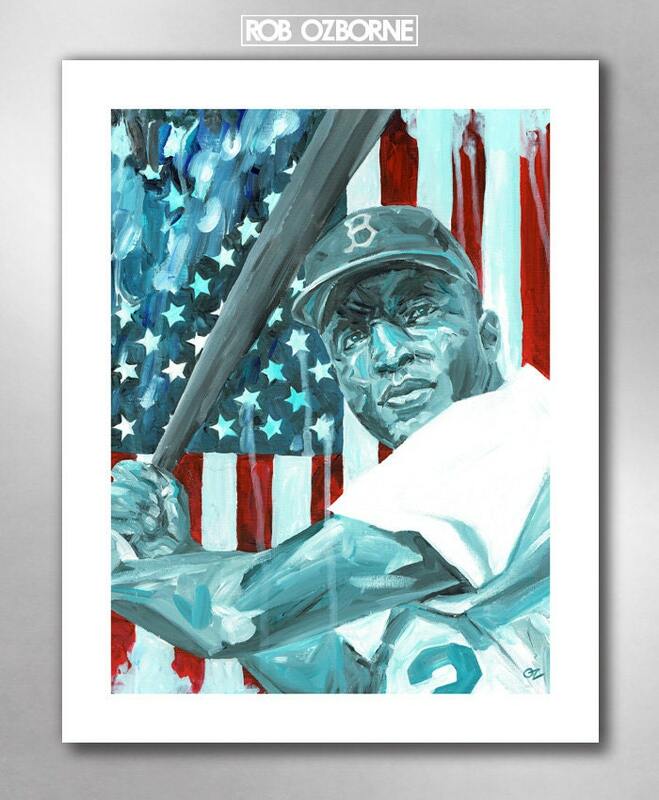 "Jackie Robinson" art print by Rob Ozborne. From the American Hero series. THE STORY: When he started at first base for the Brooklyn Dodgers on April 15, 1947, Jackie Robinson became the first African American to play Major League Baseball. This marked the end of racial segregation in professional baseball. As a professional baseball, Robinson had a spectacular career. He received the first-ever MLB Rookie of the Year Award in 1947, and reached the All-Star team six seasons in a row. He also won the National League MVP Award in 1949, played in six World Series, and won a championship with the Dodgers. 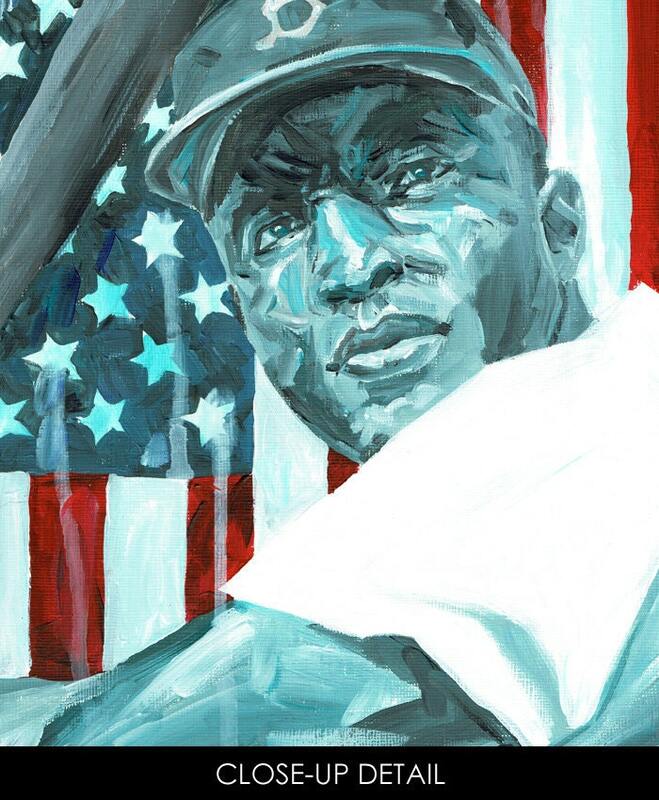 Through his athletic talent and character, Robinson contributed to the Civil Rights Movement and established himself as an American hero.